With five points races in the books, this Friday marks the halfway point of the 2019 season of the O'Reilly Auto Parts Friday Night Drags on the pit lane drag strip at Atlanta Motor Speedway. Thrilling points battles in numerous divisions will come down to the wire if the trend continues over the final races of the season. "The season has provided some of the best and closest racing that we've seen in recent memory on the pit lane drag strip," said AMS Track President Ed Clark. "New and old competitors alike have tested their skill against our new finish line light that has brought out the best among all our competitors." 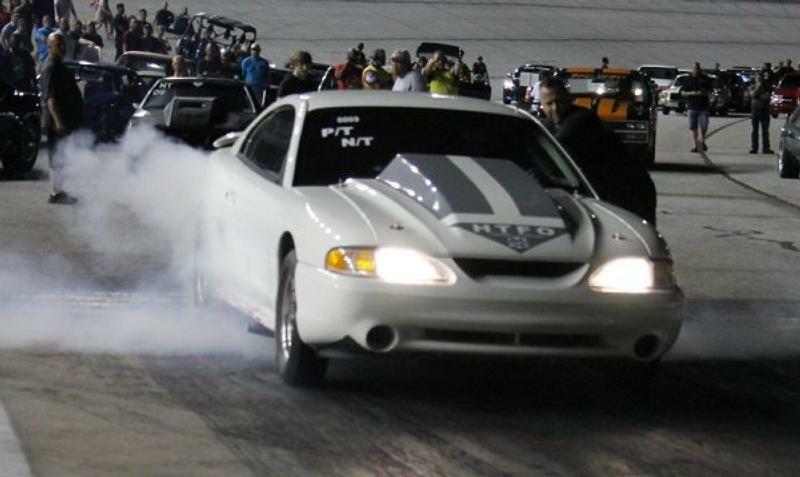 At the halfway point of the season, more than 350 competitors have tested their skills against the pit lane drag strip and their fellow competitors in 18 different divisions. The best drivers have percolated to the top of the point standings providing numerous close battles for a season championship. The leaders are currently tied at the top of the point standings in the highly contested QuikTrip Pro division. Doug Ragan of Williamson along with the new driver of his 1993 white Pontiac Firebird, David Clevenger of Milner, have battled back with final round wins in each of the past two races to move into a tie at the top of the point standings. "Pro has been one of the most challenging divisions this year," said Clevenger "and I hope it gets more and more challenging over the course of the rest of the season." In addition to Clevenger at the top of the Quiktrip Pro division standings, Kevin Mayo of McDonough looked unstoppable behind the wheel of the 1969 Chevrolet Nova with three consecutive trips to victory lane to open the point season. In the Summit Racing Equipment Sportsman division, Richard Cochran of Locust Grove inched ahead of David Waksman of Sharpsburg and Scott Charette of Locust Grove after posting the final round win last Friday. Charette and Corcoran are both two time winners this season on the pit lane drag strip. Tyler Hatchett of Griffin earned the final round win last week for his second trip to victory lane this year to move into the top spot in the point standings in the Sport Compact division. He entered last week's action in a tie for second place with Heather Utt of Fayetteville and a point behind two time winner Courtney Perry for the lead. While drivers in the 18 divisions compete for much needed points in the battle for the division championships this week, two cars will make their Friday Night Drags debut on Friday, July 27th. With a defining roar and flames down the strip, he Hannah Motorsports Jet Funny Cars of "Top Secret Eastern Raider" and "First Strike" will battle for supremacy over the 1/8 mile pit lane drag way. Rich Hannah will pilot "First strike" while Ken Hall will be behind the controls of "Top Secret Easter Raider" as the pair wows spectators and competitors alike next Friday.